By Matthew Foldi / Aug. 31, 2017, 11:12 p.m. 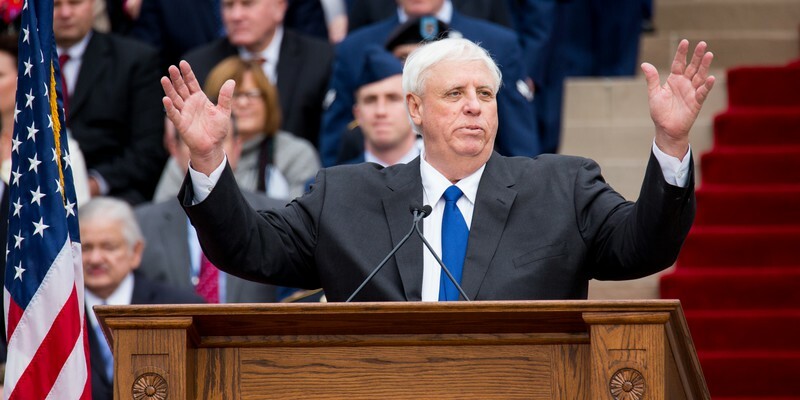 When West Virginia Governor Jim Justice changed his party registration from Democrat to Republican in early August, he didn’t only hand Republicans another governor’s mansion—he also made history. Republicans now govern thirty-four states, a record for either party in the history of America. Justice gave Republicans twenty-six governing trifectas—states where one party controls the executive and the legislative chambers— while Democrats only have six. Washington is one of the Democrats’ target states, and this November’s state Senate special election has the potential to shift the balance of their Senate to Democratic hands. Last October, popular Republican state senator Andy Hill succumbed to lung cancer after having beaten it before, leaving his seat vacant and setting the stage for a historically expensive special election to replace him. Republican Dino Rossi, who lost the closest governor’s race in history in 2004, is the current placeholder until the winner of the special election on November 7 takes office to replace him. Over three million dollars from around the country have already poured into Washington’s Forty-Fifth District, and there are still months to go. The recent special election in Georgia made history for the amount spent in a single House race, and this election is likely to be one of the most expensive state legislative battles as well. In the recent primary, Democrat Manka Dhingra won with slightly over 50 percent of the vote, but Republican Jinyoung Lee Englund, who placed second with 42.5 percent, can’t be counted out in the election. Independent Parker Harris took slightly more than 6 percent, and it’s possible that his share of the vote will go mostly to Englund, since he originally planned on running as a Democrat but realized he was too moderate after going to Democratic events around the district. Englund also outraised Dhingra by a few thousand dollars overall, and by far from donors who live within Washington state. Seattle’s City Council handed Englund a golden issue to run with when they approved an income tax for the city’s wealthiest residents. This is likely to remain on voters’ minds for the next several months, since the decision is likely to ultimately be decided by the courts because its opponents claim it “violate[s] state law and the state constitution.” Another issue that Englund would be wise to run on is the complete chaos enveloping Washington’s own Evergreen State University, a publicly funded school that was “under siege” at the end of last year due to student protesters demanding that both a liberal professor and the school president be fired. Washington’s Republican-held state Senate has been able to block several of the Democrats’ priorities in recent months. Republicans hold power in the Senate because Tim Sheldon, a moderate Democrat, caucuses with them, giving them a one seat advantage, and “Democratic lawmakers and [Governor Jay] Inslee, meanwhile, have watched the GOP block other big-ticket priorities, like making Washington’s tax system more progressive,” according to the Seattle Times. These dynamics are precisely why this race has so much significance in the state as a whole. If Republicans lose the Senate, Democrats gain a trifecta, which would give them an increased yet still embarrassing total of seven from around the country. The added national significance is that Inslee will take over the Democratic Governors Association in 2018, just a few months after the control of his state’s senate is decided. If voters keep it in Republican hands, Inslee assumes his national role with a far weaker status than he could have if voters give Democrats one of the few trifectas they have in the country. In March, the DGA confidently stated that it “believes it would be impossible to lose more states to Republicans,” and yet Republican Governor Justice proved them wrong. The voters in Washington’s Forty-Fifth District have the choice of giving Democrats full control of another state or keeping them at six nationally. The outcome of this critically important election will let us know which they prefer. Matthew Foldi is a staff writer for The Gate, and a former intern at the Republican Governors Association. Opinions expressed in this article do not necessarily reflect the views of The Gate. The image featured in this article is licensed under Creative Commons. The original image can be found here.